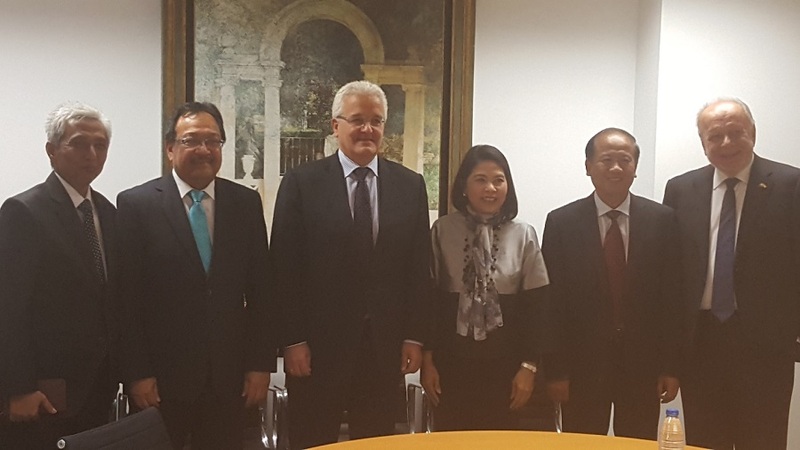 Philippine Ambassador to Spain Philippe Lhuillier in his capacity as chair of the ASEAN Committee in Madrid (ACM) led the other ASEAN Ambassadors in Spain in a joint call on the Secretary of State for Foreign Affairs, Mr. Ildefonso Castro Lopez, at the Ministry of Foreign Affairs on 30 May 2018. 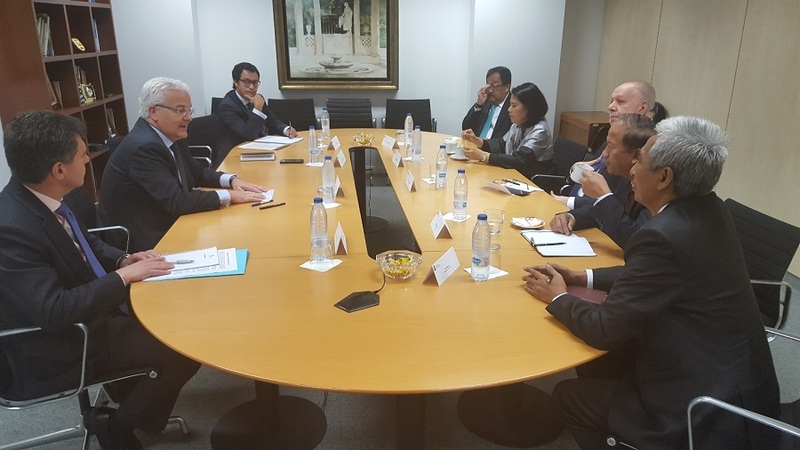 The ASEAN Ambassadors and Mr Castro had an exchange of views on ASEAN and Spain and discussed ways to improve ASEAN-Spain relations. The series of joint calls on key Spanish Government officials forms part of the projects helmed by the Philippines as chair of the ACM.